Human body depends upon 5 elements and it is because of these our body functions properly. Natural elements plays an important role in maintaining health. Know more about NATUROPATHY and its remedies. Naturopathy medication believes that the main cause of diseases is because of the presence of toxins in the body, it says that the healing powers are within the body itself. The remedy is the natural purification of the whole body which is possible only by Naturopathy. 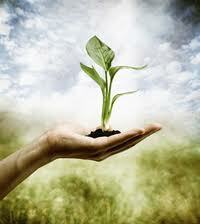 Since ages this system stands upon the wisdom of ancient and natural science. WATER is responsible for the blood related problems in the body which can be cured by a pure water bath, drinking enough water and consuming juice of fresh fruits /vegetables. EARTH is responsible for bones related problems which can be cured by mud bath or mud packs. AIR is responsible for skin and lungs problems which can be cured through meditation and yoga. Fire is responsible for muscles problem which can be cured through 10 minutes sun bath in the morning. Sky is responsible for stomach problems which can be cured through fast, yoga or consuming fruits. Natural daily routine, regular practicing of yoga and meditation for 1 hour a day eliminates diseases and increase disease resistance potential in the body. Consume juice of berries and bitter gourd, it is very beneficial for diabetes patients. Apply wet mud paste on your stomach, you can also add Neem powder in it. Most important treatment of asthma is the regular practice of yoga. Adopt natural diet and natural daily routine. Consuming Indian gooseberry (amla) juice is must. Mix basil (tulsi) juice in honey and consume 2 times daily. Daily hourly meditation and yoga. 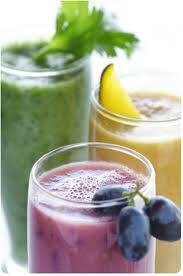 Vegetable juice, salad, fruits should be consumed daily, apart from that try to take light lunch and dinner. Mud bath or mud massage are also very effective. Massage mustard oil, sesame oil or coconut oil half an hour before bath. Take warm foot bath for 15-20 minutes per day. Drink turmeric mixed with milk and natural diet. Avoid cold drinks or ice-creams, try to maintain a good body posture.